The real key to success in any business—no matter how big or small—is people. People bring dedication, creativity and ideas and when they thrive, so does the business. This is why SYSPRO business software has such a focus on simplifying success by providing an outstanding user experience. It goes beyond making the software easy to use. It means making that software straightforward and easily customizable to a user’s specific role and business process. At SYSPRO, we’re passionate about bringing simplicity, innovation and partnership to the heart and soul of business—the people who are on your team. For nearly 40 years, SYSPRO has improved technology for our customers based on their feedback and industry best practices. The total concentration on manufacturing and distribution has allowed us to understand the people behind the business and what they need for their work and success. More than 15,000 licensed companies use SYSPRO globally because we create customers for life. Be the next customer to become our greatest ambassador. SYSPRO is focused on trust and industry innovation—we always put the unique needs of each customer at the forefront. Explore the full solution from a number of different perspectives. 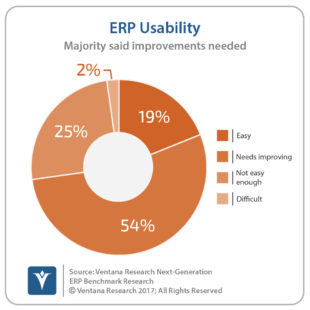 The visibility and usability factors that SYSPRO users enjoy is one of the top reasons why SYSPRO ERP Software is selected over competitive solutions.